The UPPAbaby Mesa is an impressive infant car seat that scored well overall in our infant car seat review. The Mesa has a couple of different easy installation options, and it won a Top Pick for City Living award, for its strong performance for installation without the base making it a top contender for families that frequent taxi cabs or Uber. We love the retractable LATCH anchors and the easy-to-use harness height adjustment, and we think it has a lot of features to rave about that make it easier to use and a stylish standout. While its higher price or heavier weight means it may not be the right choice for every family, its high-quality materials, and sleek design mean it will appeal to many. UPPAbaby has released a new version of the Mesa that includes fabric that is naturally flame resistant without the addition of chemicals. The fabric is a Merino wool that is a wicking fiber, making it comfortable in both warm and cool weather. The new chemical-free fabric is only available in the Henry (blue marl) fabric with the remaining color options made of a different kind of fabric with different properties for flame retardants. We tested the Henry version for this gear review. UPPAbaby is an American company with more than a decade of combined experience in juvenile products. UPPAbaby is inspired from everyday family life to create gear that is easy to use, safe, light and fun. UPPAbaby's goal is to make improvements without losing convenience, usability, or style. The company offers an infant car seat and a variety of strollers including full-size, lightweight, and double options. The UPPAbaby Mesa is a nice looking, stylish car seat that is easy to install without the base making it a potential option for parents on the go in public transportation. This chart shows a comparison of the infant car seats we purchased and tested in this review including the UPPAbaby Mesa (blue). In the sections below you'll find detailed information on how the Mesa performed in each metric compared to the competition. Individual metric results were used to determine overall scores. We analyzed crash test data from two sources: our own crash tests which were commissioned at the same national testing facility used by the National Highway Traffic Safety Administration (NHTSA), and data from tests conducted by NHTSA at the same facility. The tests are designed to measure the G forces of impact on the chest and head region of the crash dummy. We wanted to learn the relative differences between car seats and identify those products that go beyond the Federal guidelines to offer an added margin of protection. The chart above shows the head force sensor data of the Mesa (in black), and the seat with the best head force (HIC) results, the Chicco Keyfit 30 (green). The UPPAbaby performed well in the head impact scores, with results that were better than average, and well below the Federal safety requirements. The UPPAbaby earned what we consider to be a basic score for chest crash test results. This is shown above with the Mesa (black) compared to the Graco SnugRide Click Connect 40 (green) which has best results from the chest force (g) sensors. Earning a basic score indicates it exceeds the Federal guidelines, but does not seem to offer an additional margin of safety. The head rest assembly on the Mesa has additional padding and has side impact protection (SIP) properties according to UPPAbaby. However, we caution parents from putting too much emphasis on SIP as the industry has not yet defined what this means and there are no approved testing methods to determine its efficacy. UPPAbaby makes the claim of side impact protection (SIP) and padding in the head area of the seat. 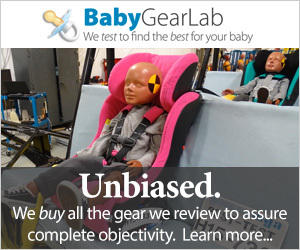 They claim that this SIP feature has been tested, but we were unable to obtain disclosure of actual crash test results from UPPAbaby that would quantify what level of additional protection, if any, their SIP provides. In answer to our request for crash test information, UPPAbaby's representative told us, "we don't provide this information you will find that no other manufacturer will do the same" (in fact, we did find other manufacturers were more forthcoming and transparent with their test findings than UPPAbaby, and let the company know their assertion in this regard was incorrect). Given that we don't have any crash test data for their claimed SIP feature, we cannot remark on whether or not it improves the safety of the seat. We also can't confirm what they mean when they say SIP, as most manufacturers use a different definition of this phrase and there is no industry standard definition they must adhere to. However, we do like any extra effort for safety and feel that UPPAbaby is at least attempting to build a better seat. Installing the Mesa with the LATCH anchors is very easy and it earned a second place score in the metric for LATCH installation. Installing the UPPAbaby using LATCH is a breeze, earning a 9 of 10 for ease of install tying with the Chicco Keyfit 30. Some seats offered a unique LATCH feature that makes installation relatively foolproof, including the Mesa. The Mesa has self-ratcheting LATCH connectors that tuck into the base when not in use. They release with a touch of a button and pull out one at a time or simultaneously. The Mesa LATCH anchor is the easy push in and a button press to remove style we prefer. We found one at a time is easier for attaching to the anchors on the vehicle. The connectors are the type we prefer that have a hard shell buckle with push-button release. There is an audible click when the anchors connect. The self-ratcheting LATCh anchors on the Mesa help make it almost foolproof to install with additional help from angle adjustment at the touch of a button. Once the base is attached, adding pressure causes the straps to ratchet and tighten on their own. There is a visual indicator that turns green when the seat is tight and secure. We caution that the indicator is a little finicky and would occasionally register green, but move to red after a bumpy ride, so consider it helpful, but not definitive. The Mesa has an easy to read level guide on the side of the carrier where the handle pivots. This color coded level takes the guesswork out of infant car seat installation. The base has an adjustable foot and level indicator to assist in obtaining a level installation. The indicator has a window with green for good and red for bad. This adds to the ease of install and makes it harder to get wrong. Installing the Mesa with the vehicle belt on the base is also easy with a great belt lock that works well without frustration. The Mesa earned a 7 of 10 for installation using the vehicle belt. The Mesa has a belt lock-off that is easy to use and a color-coded belt path. Overall the seat is relatively easy to install with this method. The Mesa has an easy to open and close belt lock-off for installation using the vehicle belt as opposed to LATCH installation. Threading of the vehicle belt only takes a moment but is harder if the shoulder strap is involved because it requires two layers in the lock-off. We did have a problem with the "button" on the vehicle belt getting in the way of the lock-off so it wouldn't or couldn't close, and we had to cinch down tight on the belt to get the indicator light to turn green. Installing the Mesa without the base is quick with color-coded guides located on the sides that make it a good option for parents on the go in the city who don't want the additional weight of the base to carry. Installing the Mesa without the base scored an 8 of 10. This high score makes the Mesa a good choice for parents that frequent public transportation. This test is crucial if you expect to take your infant in taxi cabs or services like Uber where you will need to be able to quickly and safely secure the seat without the base. The photos above show the American belt path of the current Mesa (above left) vs the European belt path of the 2014 Mesa (above right). We think the European method feels more secure and are sorry they eliminated this feature on the newer seats. The new Mesa uses the American belt path, which has the advantage of being easier to accomplish, a key feature for a new parent in a rush to secure the baby in the back of a taxi. The color coded pathway helps parents remember where to thread the belt and how it should be connected. The vehicle belt extends across the lower portion of the carrier and threads in the clips located on the side and out of the reach of baby or padding. The Mesa feels stable when properly installed, something not true of all of the competition. The Mesa earned a 7 of 10 for ease of use. The buckle on the Mesa is stiff, but not hard to operate like some of the others we tested and probably needs to be this stiff to meet safety guidelines. While the Mesa buckle is stiff, it is easy to use and can be pressed with only one hand. The chest clip is one of the easiest to connect and disconnect. The button is easy to depress and the sides slide apart without sticking. The sides mate up easily and slide together smoothly with little force. The Mesa harness tightening strap and release button are both located at the foot of the carrier and are easy to use. Loosening and tightening the harness are both about average. It is somewhat easier to loosen, but both are manageable. The tightening strap and the release button are located at the foot of the carrier with the button on top of the padding making it easy to access. The Mesa head assembly moves up and down to adjust the shoulder height of the harness. Pulling the tab unlocks the assembly so you can move it to the desired position. The Mesa harness shoulder height is easy to adjust without the need to rethread straps. The release strap is at the head of the seat, and the height assembly moves smoothly up or down. The assembly has five height positions and is adjusted from the front with the baby in the seat. The buckle has two positions to help ensure the best fit for babies of any size. When you are ready to release the Mesa carrier from the base, you pull the release handle on the back and lift it up with the assistance of the carry handle. The Mesa carrier is easy to attach to the base and falls into place without jostling it around to find just the right footing. It offers no visual indicator to tell you if it's on correctly, but we tested it multiple times and never had a problem attaching it properly. There is a release handle located on the back of the carrier that disengages the carrier/base connection and allows you to lift the carrier up and off the base. The Mesa carry handle adjusts on a pivot point by pressing the side buttons in simultaneously before rotating to the desired position. The handle is comfortable and works as it should. It rubs on the canopy somewhat when both are up, but it isn't as bad as the Graco products. The handle moves by depressing levers on both sides and pivoting to the desired position. It has three positions and all are acceptable for driving. The Mesa has little harness stow pockets on either side of the seat designed to keep the harness out of the way when placing your baby in the carrier. While not a true time saver, they can help parents avoid the under tushie search for the harness. The sides of the seat have stow pockets for the latch plates of the buckle. You can pull the plates off to the side and tuck them in to hold the harness open, so you can place baby in the seat without moving baby to get to the straps. While a thoughtful addition, we aren't sure parents will bother using it. It feels like a time waster, not a real benefit. The Mesa earned the top score for LATCH storage with retractable anchors that tuck into pockets and release with the press of a button. There is no way the anchors can obstruct attaching the carrier onto the base. The Mesa with Henry fabric earned a higher score for comfort and quality than the previous version of the Mesa thanks to the softer, chemical free fabric. The Mesa earned a 7 of 10 for comfort and quality, with a score increase over the previous version thanks to the nicer Henry style fabric. The UPPAbaby is a quality car seat made with nice materials. Not only does everything on this seat feel durable and solid, but it is brought together in a sleek fit and finish. With all of the options side-by-side, the Mesa is a lovely stand out. The seat offers thicker padding and nicer fabric than previous models that had abrasive materials in the seat area. The wool fabric feels durable and is made without fire retardants as it is naturally fire resistant. This makes it a potential choice for parents concerned about added chemicals near baby's skin. The Mesa canopy is nice looking, stays taut, and doesn't interfere with the carry handle. The canopy is medium sized with a hard storage flap that keeps it out of the way when not in use. We like the slick look of the seat without the canopy and think it is a nice touch for keeping unused accessories out of the way. The new Mesa is slightly heavier than its predecessor which makes it harder to carry for longer periods of time. This seat is fairly heavy with a carrier weight of 10.36 lbs. This is slightly heavier than the previous model but nothing parents are likely to notice. However, it is still heavier than the average, and we wish it were closer to 9. The combined carrier and base weight is 19.46 lbs. While we believe weight should never be a number one deciding factor, we do think it should hold some "weight" (pun intended) in the decision making process. We hope UPPAbaby will work on finding ways to trim down the weight of this seat in the future so it is easier to carry. Even one more pound could make it more of a contender. The Vista works well with its native car seat the UPPAbaby Mesa. The Mesa attaches directly to the frame so there are no additional adapters to lose. Choosing the Mesa for a car seat makes the choice of stroller almost a no-brainer. In our review of the best full-size strollers both UPPAbaby choices won awards and proved to be user-friendly options that work best with the Mesa. The UPPAbaby Cruz earned an Editors' Choice award, and the UPPAbaby Vista earned a Top Pick for versatility with a frame that can work with two car seats, or multiple combinations of the toddler seat, car seats, and a third child ride on. The Cruz also won an Editors' Choice award in our stroller and car seat combination review. The UPPAbaby Rain Sheild — This accessory is exactly what it sounds like, a shield that protects the carrier portion and baby from rain and other elements. This cover works when the carrier is out of the car and carried or attached to a stroller. The UPPAbaby Cabana is a full seat sunshade cover for protection from the sun, the wind, insects, and curious looky-loos. It is one of the coolest covers for a seat we have seen and depending on where you live it can be a must-have addition to protect baby from bug bites. from Cozy Greens. This easy to use mirror is held out a few inches from a flat base that fits against the front of the back seat headrest. The base secures with two adjustable straps that fit around the headrest. A convex shatterproof surface and a pivot point at the base provide a wide field of view. Once the mirror is correctly adjusted, the pivot point tightens so the mirror can't accidentally shift. One downfall of this mirror is that the car headrest must be adjustable for attachment to work.